Each piece is an individual and no two are ever the same the ancient weaving method of Kilim produces pieces of quality and beauty in perfect harmony. A family owned & run Cotswold business. For this new Season 2018-19 we have an increased selection of new pouffes, and a large selection of rugs which remain very popular, and we try to have something for everyone both in size and price. 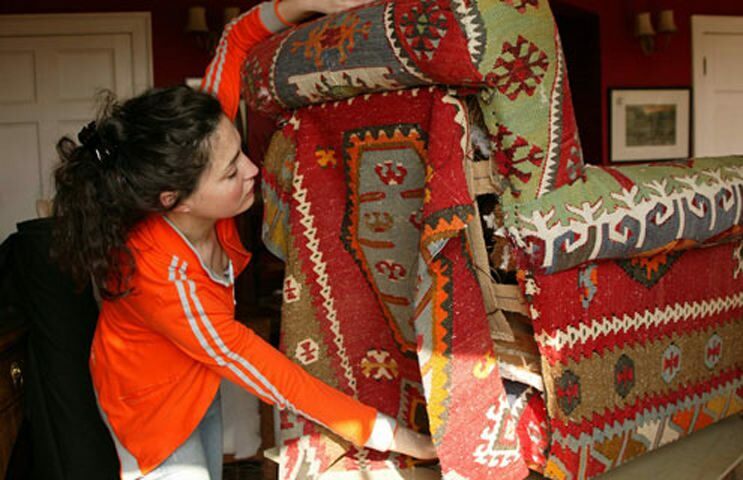 Distance permitting, we will bring rugs to show you free of charge to make sure you are happy with them. Please check out the gallery on the website for the latest selection available of our entire stock of old and new kilim rugs, which includes photos and size details. We sincerely hope that you like the new range. Brighten up your home with any of our pieces of furniture, which are all lovingly made to last by skilled craftsmen like our middle daughter Victoria (pictured), to be handed down to your children. 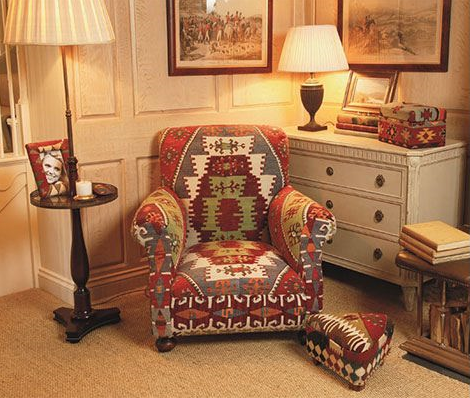 Please don’t forget that all the furniture featured can be covered in an upholstery-weight fabric of your choice, rather than kilim, if you wish. Once again, a big thank you to everyone for the success we have enjoyed over the years and we hope you will continue to be delighted by our beautiful products, both old and new. Pammie-Jane Farquhar has owned and run Nomad Ideas over 17 years.Each family member plays a part, Emma, her oldest daughter, takes all the beautiful photographs, Victoria helps with the day to day planning and Rose, her youngest daughter, helps with the computer work and modelling. Ian, her husband, helps lift the stock!! 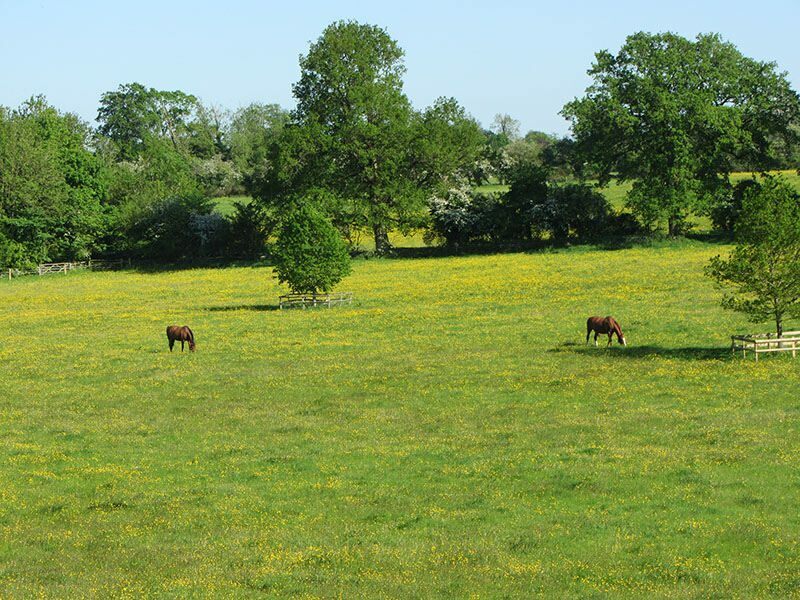 As the view from our workshop window reveals, we live and work amid extraordinary natural beauty. It is a privilege to work with these exquisite materials in such gorgeous surroundings. "We make a point of going the extra mile to ensure that everyone is happy with the items they have ordered. Over the years, our regular customers have come to know us well and can attest to our first class personal service. 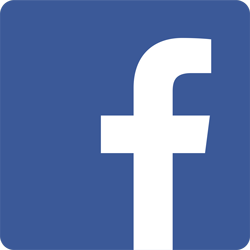 To them, we say a big thank you for their support and enthusiasm, which has contributed to our success since we started the business."